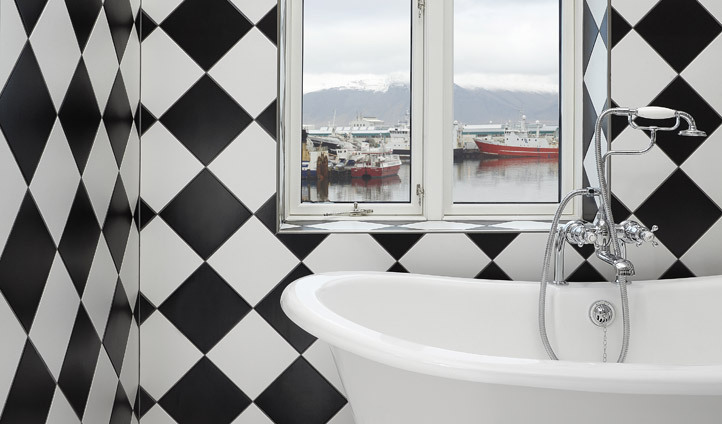 Reykjavik Marina Residence brings a new level of luxury to the Icelandair offering. 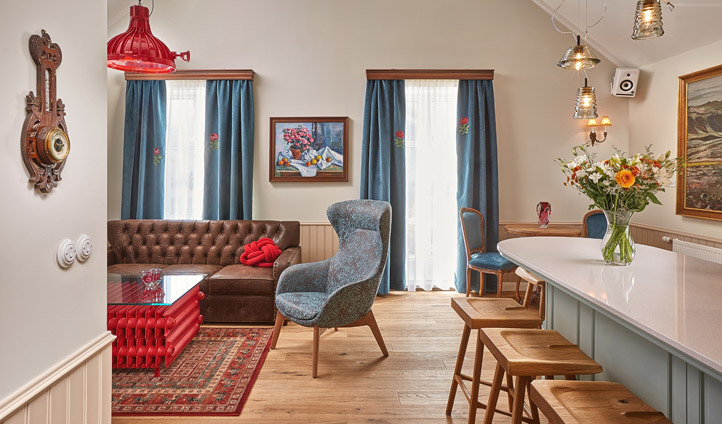 With sweeping views across the serene harbour in one direction and the colourful architecture of Reykjavik in the other these traditional, stylish suites are set to provide you with the perfect home away from home amidst the magic of Iceland. Privacy is one of the main features that draws us to RMR with secluded patios, spacious dwellings and quiet bedrooms. A mere 45 minute drive from Keflavik International Airport, Reykjavik Marina Residence is in the heart of the quaint city. The Old Harbour is a few steps outside your front door with an impressive view of Mount Esja across the water. Just round the corner however lies all the buzzing vibrancy of the local art galleries, restaurants, bars and culture of the city. Hallgrímskirkja, Reykjavik’s vast white church is a short exciting 20 minute walk away, straight across downtown. To truly experience the finest RMR has to offer we recommend the exquisite Adalbjorg Suite on the top two floors of the townhouse conversion, with an overlooking mezzanine level and views to die for. The homely, stylish décor has a sleek yet warm feel to make you relax instantly. The Residence Suites provide the same level of opulence, just slightly lower in the building. Every room is finished to perfection with no detail overlooked. Whether with young children or on a romantic getaway you have all the comfort and privacy you could ever ask for in one of the best locations in the entire country. Your personal concierge is also on hand between 7am – midnight to make sure everything is taken care of for you. The rooms, food and design all live up to the hype. In our opinion, the finest luxury in Iceland.